We here at ProSettings.net are dedicated to make you the best player you can be. We’ve been doing guides on the best mice and peripherals for a while now, but having all the best peripherals in the world won’t help you if your PC can’t handle the games you want to play. There’s nothing more important in a gaming rig than the graphics card. That’s why we’ve unleashed our team and researched the GPUs of Fortnite pros. As usual, we crunched the numbers as well – just so that you can make better decisions on your next purchase. This is the first time we’re doing a top 5 on PC internals, so let us know in the comments how you feel about this guide. If you want to check out our recommended Fortnite PC builds (which contain GPUs from this guide) you can click here as well. Now, let’s get started. What makes a GPU good for Fortnite? A GPU basically has to do one thing: Deliver your game to your monitor without any hiccups, and preferably doing so at the highest FPS possible. Unlike mice, for example, there’s no shape or feel to account for, since the only time you’ll be touching your GPU is when you’re installing it in your system. So to make it simple: In competitive gaming, FPS is king – and the magic number is 144 HZ. Finding the right GPU is therefore a much more objective task than finding the perfect mouse, but there are of course some factors to consider, most importantly price versus performance. So while your framerate should be as high as possible it will obviously come at a cost. Fortnite isn’t the most demanding game out there, but if you want to play at a consistent high framerate you’ll need to consider a dedicated GPU. Your laptop CPU’s graphics processor doesn’t cut it. Professional gamers obviously don’t make any compromises when it comes to their gear, so it makes sense that NVIDIA’s high end GPUs (namely the GTX 1080 and the 1080 TI) are the most used GPUs, with the newly released RTX 2080 TI already coming in fifth. This top 5 also contains some more budget friendly options, so there’s plenty of choice for everyone. 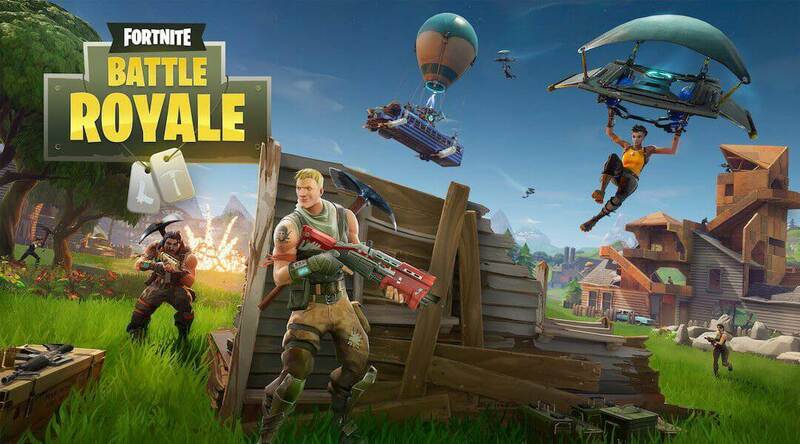 Update December 2018 – The GeForce Fortnite Bundle: For a limited time, when you upgrade your rig with a GeForce GTX 1070 Ti, 1070, or 1060 graphics card, you’ll receive 2000 V-Bucks and the Fortnite Counterattack Set. See here for more information. 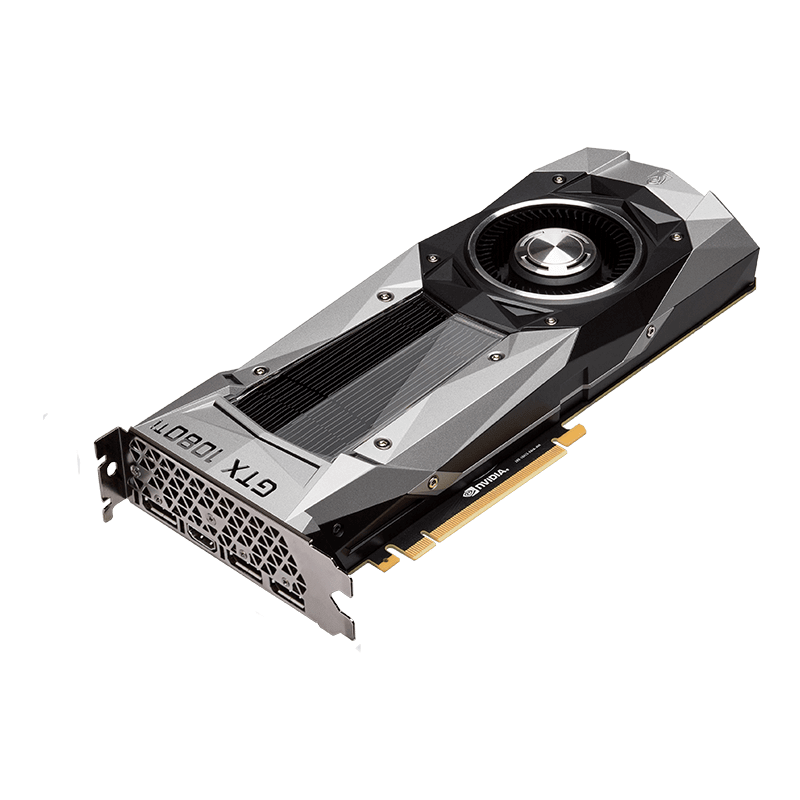 There is an everlasting debate as to who’s ‘the best’ manufacturer of graphics cards, but as you can see from our data on Fortnite at least, NVIDIA has the world well and truly conquered, with a staggering 98.7 percent of our analyzed professionals opting for an NVIDIA card. We won’t be entering the Red vs Green debate in this article, but it’s no secret that NVIDIA’s GPUs are top of the line right now. Every little drop of performance matters when you’re gaming at the highest level (or trying to make your way to the highest level, for that matter) so it’s only logical to opt for the cutting edge if you’re trying to get ahead of the competition. Almost all of our analyzed professionals use a monitor that’s capable of pushing at least 144 frames per second, but in order to fully enjoy a top tier gaming monitor you need a PC that’s able to push enough frames to reach the new ‘industry standard’ of 144 frames per second. In the list below we’ll give a brief explanation on each GPU, as well as a ballpark estimation (this will depend on what processor, RAM, etc. you’ve got in your system of course) of how many FPS you can expect with competitive ingame settings. NVIDIA’s last-gen high tier card is still an absolute beast for playing games. The GTX 1080 offers plenty of power for playing Fortnite, but the question is: do you need it? Well, it depends on the resolution you want to use. If you’re gaming on 1080p with our recommended settings getting the 1080 TI is probably going to be overkill, but if you want to play the game on max settings and the 1080 TI might be your dream card. At epic settings on 1080p, the 1080 TI manages to hold 144 fps in most situations, dipping below that magical rarely and only during the most hectic moments. We have never seen it go below 100 frames per second – ever. So if you’re someone who likes to play games at maximum settings while also getting a competitive amount of frames per second you should definitely look at the 1080 TI. If you want to have your cake and eat it too (by upping the resolution) the GTX 1080 TI is still a great bet. Even with everything set to epic the 1080 Ti manages to stay well above 60 frames per second (never even dipping below 70, for that matter) and if you drop a couple of intensive settings you can easily get your 144Hz 1440p fix out of this card. 4K is also an option with the TI, provided you don’t want to run it with everything on epic. The card will run at around 60 fps at 4K but it’ll dip below that number quite often. Drop a couple of settings, however, and you’ll be good to go. The GTX 1080 can handle Fortnite with ease, netting you an average of over 144 frames per second with no trouble at all, provided you’re using our recommended settings and not putting everything on epic. Eye candy is nice, but if you really want to be competitive it’s often a good idea to forego on some of the pretty, but ultimately useless, graphical fidelity options. This goes for all competitive games, not just Fortnite. 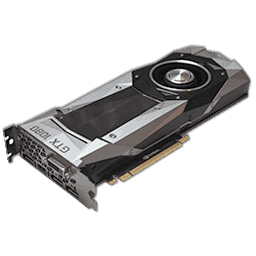 If you insist on turning the graphics up to max the GTX 1080 is still going to be a very reliable performer, though it will struggle to reach the 144 frames per second mark if insist on keeping everything on epic. If you’re running a standard (i.e. 60Hz) 1440p monitor the GTX is still a great option for you; even with every setting maxed it won’t drop below 60 fps. If you’ve opted for a 144Hz / 1440p monitor you might want to look elsewhere (or lower some ingame settings, as per our guide) if you want to make sure that you’ll get a near constant and steady 144 fps, as the GTX 1080 will output anywhere between 85 and 120 frames per second at 1440p. 4K isn’t really something that we recommend for serious gaming right now, as there aren’t a whole lot of high refresh rate 4K monitors available out there, and the technology to pair 4K with 144Hz+ refresh rates is still rather expensive. Regardless; the 1080 still handles 4K pretty nicely, churning out around 40 frames per second with the settings turned all the way up. Lower a couple of them and you should be able to get to a rather steady 60 fps. The RTX 2080 TI is the absolute best GPU that you can buy right now. That comes at a price, obviously, but boy does it perform. It goes without saying (but we’ll say it anyway) that Fortnite runs like an absolute dream on 1080p with this card. You can turn everything to max and you’ll still enjoy framerates well above 200 FPS, but that’s to be expected of a card on the cutting edge of technology. It’s also important to note that the RTX 2080 TI (along with the 2080 and 2070) features the ability to do real time ray tracing. That technology is still in its infancy when it comes to applications in gaming, but it’s interesting to note that Epic Games made the demo for real time ray tracing in their Unreal Engine. Since Epic Games are the creators of Fortnite it’s not a giant leap to assume that this tech will be used in this game somewhere in the future. The RTX is the best card on the market right now, and it’s no surprise that it handles Fortnite on higher resolutions with ease. At 1440p it stays well above 144 frames per second, even with everything turned to epic, and when you put it to the test at 4K it easily stays above 60 frames per second, even during the most hectic firefights. The 2080 TI handles higher resolutions with ease, performing about 30% better across the board (so not just in Fortnite) than the next best GPU you can buy at this time, the GTX 1080 TI. It’s a pretty pricey card, no doubt, but if you want the absolute best of the best while not having to worry about an upgrade for years to come you should definitely consider the RTX. The GTX 1070 offers a pretty substantial drop in price when compared to the GTX 1080s of this world but with that also comes a drop in performance. If you’re only planning to play at 1080p this one might be for you, though. The GTX 1070 can easily handle Fortnite at our recommended settings at 1080p, providing well over 144 fps over the entire line. It’s when you set everything to epic that it starts to struggle a bit. The 1070 still stays well above 60 fps in any environment or situation, but it never quite touches anything above 100 frames per second, unless you lower a bunch of settings. 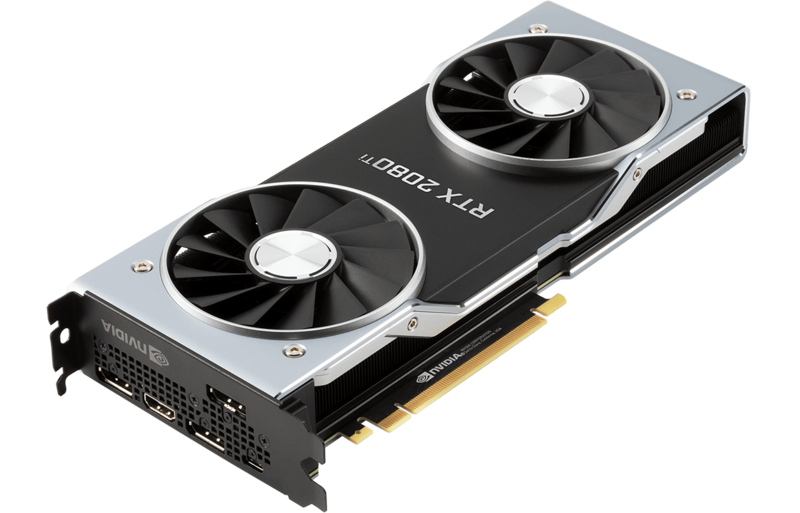 If you don’t really care about getting maximum graphical fidelity and don’t mind a few compromises this card could easily be the one for you, given that it’s pretty moderately priced and offers solid Fortnite performance at 1920×1080. The 1070 might be a very good performer at 1080p, but when it comes to higher resolutions it’ll unfortunately have to bow out a bit. At 1440p with everything on epic it just about manages to hold 60 frames per second (provided that the onscreen action doesn’t get super hectic) but at 4K this isn’t going to cut it. If you can live with a few dropped settings you might get by using the 1070 on 1440p, but look elsewhere (to our numbers two and four, respectively) if you want to get the best 4K performance. When you tweak a couple of settings here and there Fortnite isn’t necessarily the most demanding game out there. If you follow our recommended settings you can easily squeeze over 144 frames per second out of the GTX 1060, meaning that it’s a great card if you don’t necessarily need all of the graphical marvel and you’re not gaming at higher resolutions. Both the 3GB and 6GB versions offer a smooth 144Hz experience with lower settings, with the 6GB version offering around 10 fps more, on average. The GTX 1060 is the budget card in this lineup, and that shows when you try to scale up the resolution or graphics. It still gives you a reasonably solid 60 frames per seconds on 1080p epic, but once you go higher than that it’s over for the 1060. At 1440p (with everything on epic) it puts out between 35 and 45 framer per second, so assuming that you’re willing to lower some settings you might get away with running a 1060 if you’re got a 60Hz screen, but when you go to 4K it’s definitely over for this one. Around 20 frames per second just isn’t enough to be competitive in a game that’s as fast paced as Fortnite, so if you’re planning on gaming at higher resolutions you should look higher on this list as well. This list is (like all of our top 5 lists) based on what the pros are using, and it’s not difficult to see a pattern here: the pros opt for the best of the best. 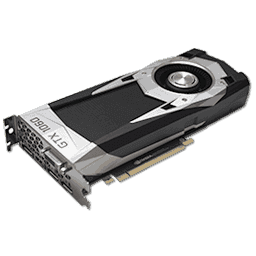 Still, it all comes down to what your needs are and, obviously, what your budget is but looking at this list we see a reasonable amount of options ranging from budget cards to the cutting edge of GPU technology. In the list to the right we’ve posted the average FPS you can expect from these GPUs on high settings (so not max settings, but not the lowest settings either). Take these results with a grain of salt though, as these will also depend on your system, your precise ingame settings, CPU etc. As with everything, the best ain’t cheap and professionals in any sport are not willing to compromise on the performance of their gear, but everyone should be able to pick out a GPU from this list that fits their particular needs and situation. 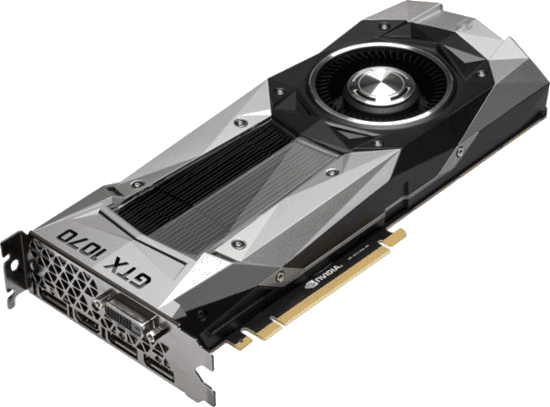 Every GPU in this list is perfectly capable of running Fortnite on a competitive level, so this article should serve as an ideal baseline for you to make a decision on your next gaming rig.